Few bands can rival Gojira in the bowel-loosening, earth-shaking heaviness stakes. They seem to produce sounds that can sound eerily cosmic yet also grounded in earth’s core; as heavy as planet Earth and yet simultaneously not of this world. Technically gifted, Gojira are smart enough to use abrasive growls which remain audible and riffs which will test the foundations of your house while remaining accessible to even the most hardened Death Metal sceptic. 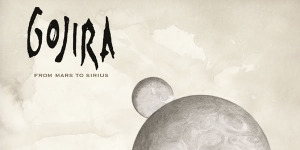 Gojira are one of those few bands that truly straddle the fine line between Heavy Metal, Death Metal and Progressive Metal and From Mars To Sirius is their magnum opus. Embracing Death Metal’s violence but not its speed-over-memorable-songs mentality, From Mars To Sirius can stop you in its tracks with its sheer overriding heaviness. Just listen to “Ocean Planet”, “Flying Whales” or “The Heaviest Matter Of The Universe”, song titles that scream heavy but don’t do justice to the sheer weight these Frenchmen are able to muster. The term, ‘heavy’, can be bandied around with little care nowadays, convenient terminology that means a band can be lumped into any sub-genre at the drop of a hat but when talking about Gojira it needs to be taken literally. Gojira are HEAVY, they epitomise the definition of the word (has a band name ever been more apt) and exhibit such force and power as to make lesser ‘heavy’ bands sound like One Direction. 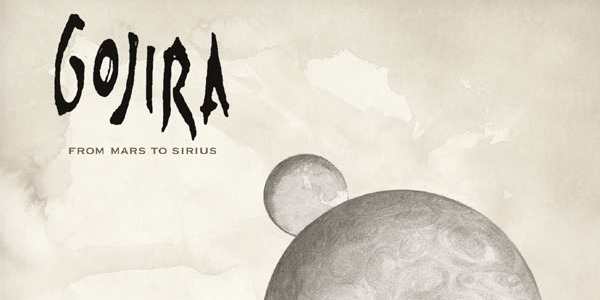 Gojira’s haunting, intelligent, diverse and unique music will adhere them to new fans long into this century but From Mars To Sirius will always be the place to start.